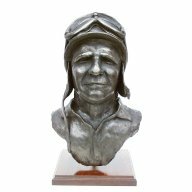 A lifelong motorsport fan sculptor Peter Close has created a series of bronze sculpture portraits spanning 70 years of motor racing history. 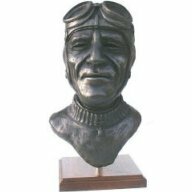 All of these bronze busts are cast in high quality cold cast bronze and mounted on a wooden base and bear the signature of the artist Peter Close. 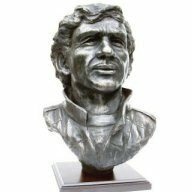 Each bronze bust is a limited edition and is supplied with a signed certificate of authenticity. 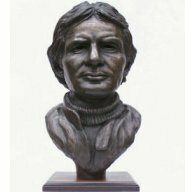 Busts include Ayrton Senna and Jim Clark. 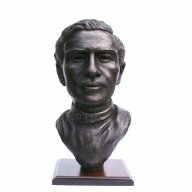 These stunning portrait busts are a must for any motorsport fan.